The Tuesday bird walk went to Rathtrevor Beach Provincial Park in Parksville. The morning was sunny and the winds were calm. A Bald Eagle was spotted high in a conifer tree near the parking lot. 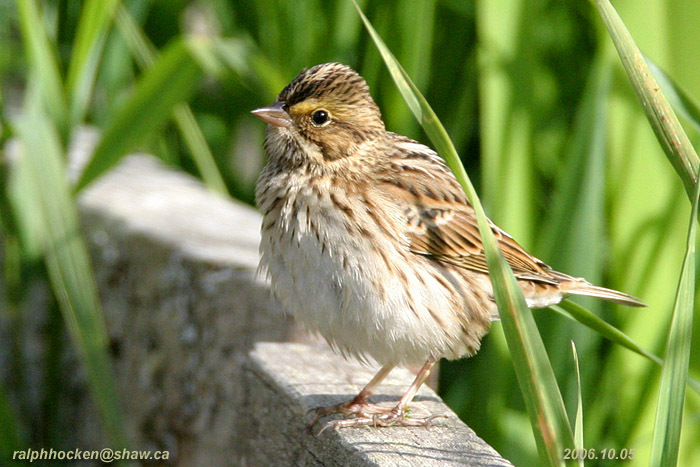 Twelve Savannah Sparrows were perched in a bush next to the trail. A Yellow-rumped Warbler was seen hawking insects from a tall tree near the trail. A Merlin was spotted high in a conifer tree. 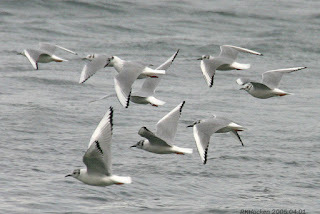 Twelve Horned Grebes, twenty Red-necked Grebes and five Western Grebes were seen not far from shore. A large number of Pacific Loons, several Common Loons, four Double-crested Cormorants, six Pelagic Cormorants and one Pigeon Guillemot were seen heading up the Strait of Georgia. 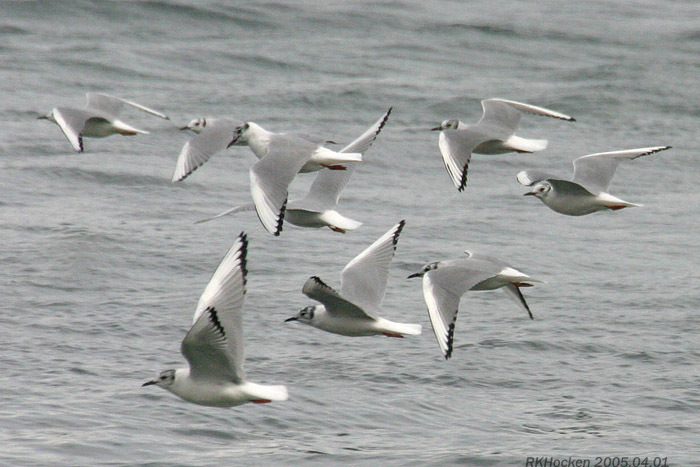 Two flocks of over one hundred Bonaparte's Gulls were seen heading up the Strait near the horizon. A Brown Creeper was spotted climbing a fir tree next to the trail. Two Bewick’s Wrens were feeding on a small bush. Two Varied Thrush were spotted high up on a fir tree. A Cooper’s Hawk flew over head and landed in a short tree giving us great views. We had a great birding morning! The Tuesday Bird walk on October 10, 2017, will be going to Deep Bay . Meet at the Parksville Community Park (at the parking lot in front of the Lions Club Playground) at 9:00 a.m. or at the parking lot at the Deep Bay Marina at about 9:35 a.m.